People in West Hills want the best and up to date garage door opener technology when they upgrade or install new equipment. Magic gives that to our residential and commercial customers. We always upgrade what we offer to meet the ever changing hi-tech demands most people want. Every one of our customers is different and every home is different too. Our expert staff will show you all the options that are available to make sure you get exactly what you want. All models of garage door openers are available in belt, chain, or screw drive models. Keep ahead of the curve with a direct drive models from Sommer. Direct drive models are the newest and quietest on the market. They also have one moving part and with less to break down, they run forever. When you choose a right opener for your garage we also guide you through all the options for safety and security too. Garage doors used to be a luxury for rich people twenty years ago. Garage door openers have come down in price because of popularity. And they come with options that would have been unimaginable 20 years ago. For the most part people don’t consider their garage door opener being the largest safety and security feature on their home. Your garage door is the largest opening on your home and when it is not secure, then neither are you. Over the last 20 years garage door openers have gone from being a luxury item few could afford to being a standard item every garage has because of the level of security it provides. When you close your garage door, the opener works like a lock for your garage door. Until you open it, it will stay closed and keep your property secure. Better models offer features that go way beyond locking the garage door. Some garage door openers close the door if you forget to. Other models allow you to remotely open or close the door from anywhere in the world. These technologies are amazing security features. You can let people into your home and lock up your garage when they leave. There are also models that close by themselves when you step out and forget to do it before you leave. Talk about useful! Good security features always tally up to your peace of mind. We offer better garage door opener repair service and replacement in West Hills than any of our competitors. Our technicians all are capable and the factory training they receive makes them the best in the garage door repair industry. They have factory certifications on all the modern garage door openers and do warranty work. We like to get referral work from happy customers like you and that makes us want to do a better job. Because we understand what our customers want we get a lot of referrals. Our customers deserve great service and for the technician to be on time. We know what you don’t want, which is second-rate replacement parts or bad service. Who wants to wait for a technician when you need to be somewhere else? It really is that simple. Magic the garage door repair company you want to call when you have garage door problems. When you need an emergency garage door opener repair or replacement, call us. Our skilled technicians will be there within 60 minutes. Factory training means that no matter what your garage door problem is on any opener you have, our techs will fix it fast and economically. They are certified to work on your brand and model. They won’t break your warranty if you still have coverage. That makes a big difference that hiring Magic Garage Door can make for you. 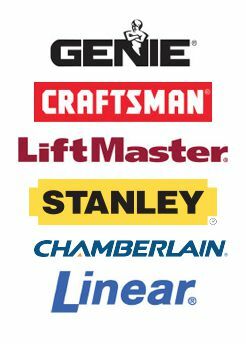 We come to fix your broken garage door opener in West Hills with everything we need to finish the repair. We get there with all the tools, equipment, replacement parts to get your garage door opener working again immediately. Our certified technicians can bring your new garage door opener for new garage door opener installations. Our garage door opener technician will be there within 60 minutes after you call Magic. Remember, we offer complete garage door installations. With over 10 years experience on every type of garage door repair, can count on us to fix it right. Call us and we will be there fast! Our technicians are experts with all the different types of garage doors available today. We offer 24-hour a day 7 days a week garage door repair. We also do automatic gate repair, and garage door and automatic gate installations. We work on your schedule. So our technicians show up when it’s convenient for you. Magic Garage Door is licensed and insured to protect you. Call us.